I am experimenting a lot with eye makeup these days. I am exploring alternatives to kohl like soft brown eye shadow on the lower lash line and loads of mascara. I am also trying lots of coloured liners and eye shadow combinations. L'Oreal Paris Color Riche Les Ombres Eye Shadow Quads in chocolate lover is a beautiful combination of totally wearable shimmery eye colours with a sheen finish. The eye quad consists of colours grey, beige, copper and deep brown which is perfect for special occasions and events. 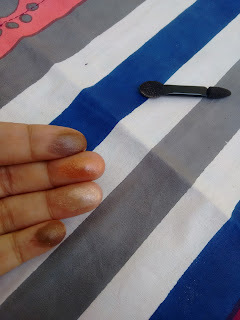 Loreal Ombre Quads are ideal for beginners to create eye looks as they even mention directions on the back of palette explaining in detail which colors to use where. 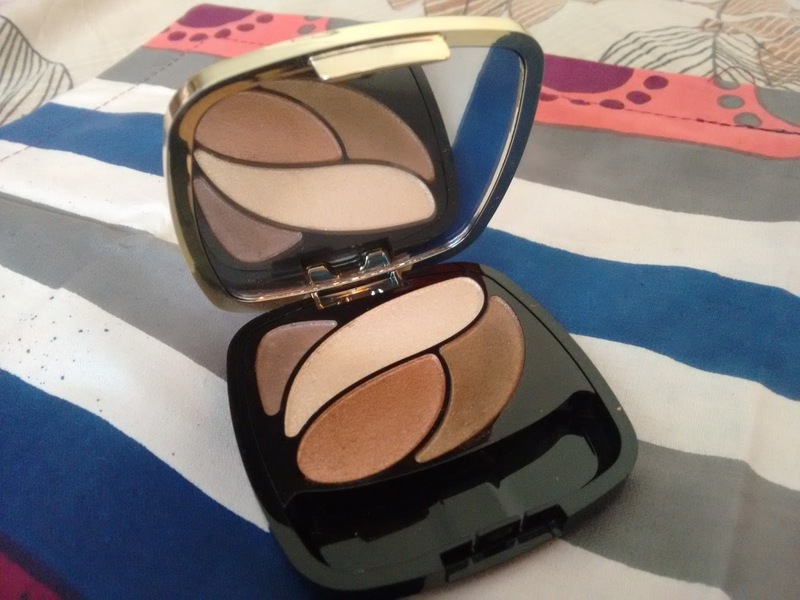 I have used this pallete almost exactly like the directions given and the result was amazing but I am soon going to experiment and mix colours from different eye quads or wear just a single or two colours to see how it works. The colours are sit in the pan in swirl which are too close to each other and you may actually end up swiping two colours with a regular sized brush. 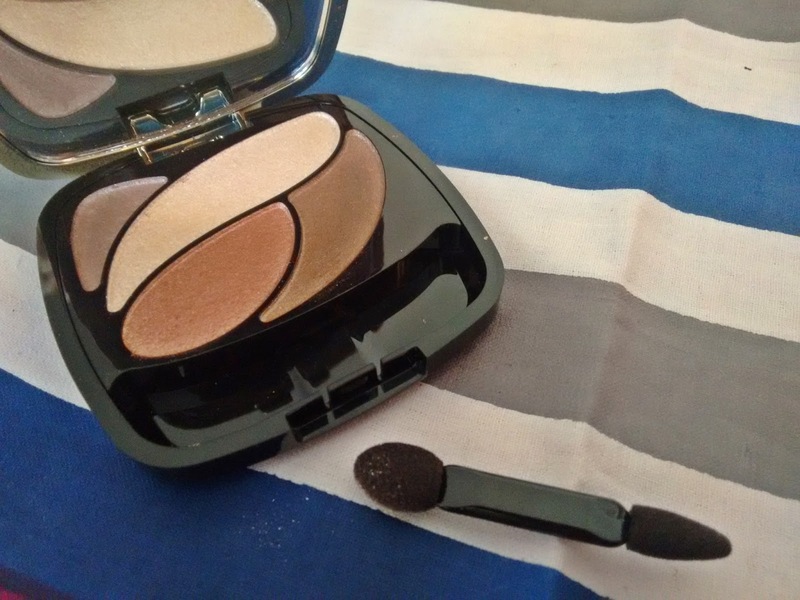 I use travel size eye shadow brush from my real techniques travel essential kit and it works nicely for me. The pigmentation is decent but using a primer is important to bring the true colour out of this quad. I love the combination of colours in this quad and the colours blend in beautifully, lasting a good 5 hours on my lids without creasing. 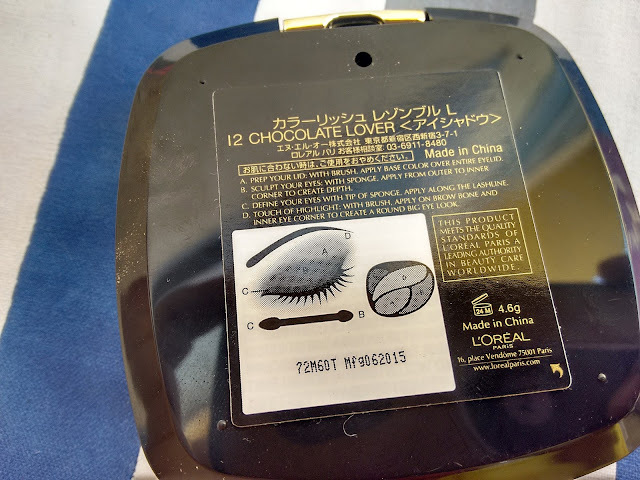 The texture is smooth and there is very light fall out. 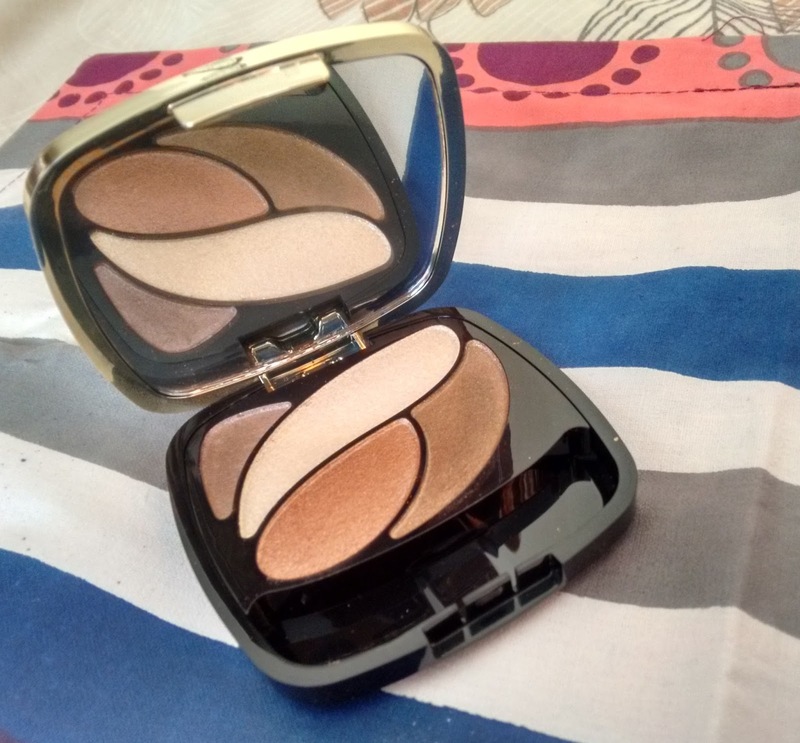 L'Oreal Paris Color Riche Les Ombres Eye Shadow Quads come are packaged very elegantly almost giving a luxury brand feel with its rose gold lid, mirror and beautiful swirl of colours. There is also a dual ended sponge tip applicator which is pointed on one side . This brush can come handy for emergency touch ups. Over all very classy, compact and travel friendly. Overall L’Oreal Colour Riche Ombre Quads are a nice combination of shimmery colours at an affordable price. It is easy to create an eye look with this quad making it ideal for beginners.